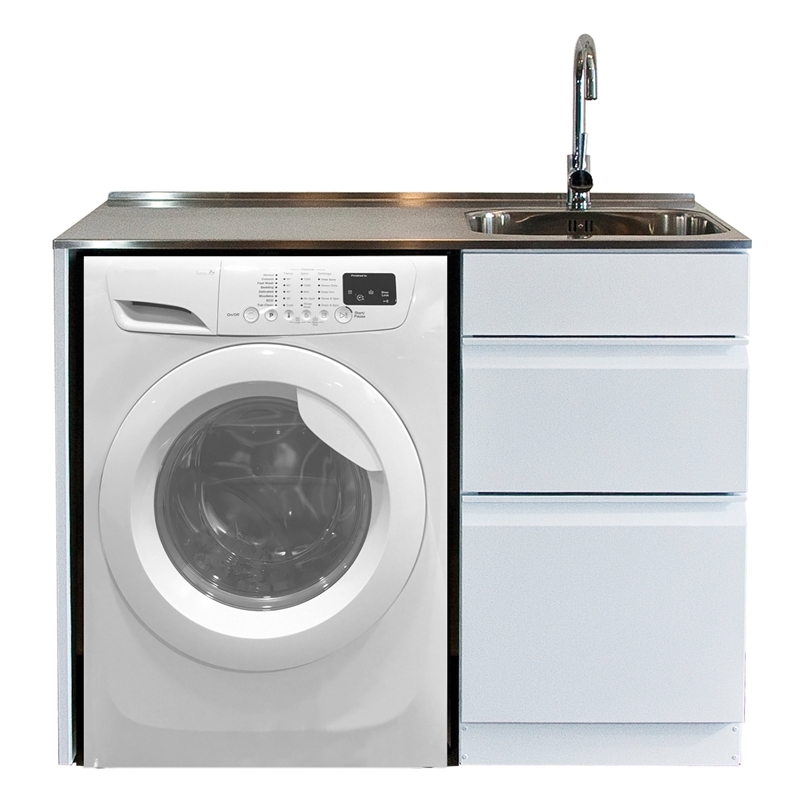 Designed to accommodate most front loader washing machines this laundry centre combines the two essential items in your laundry into one neat package. A 22L basin and huge 685 x 600mm stainless steel worktop and two large drawers. 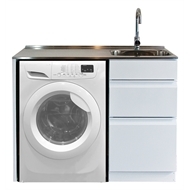 This Laundry Centre stores all your cleaning products and your washing machine. Complete with installed and tested gooseneck mixer. Offset right hand tub provides a large bench top 680mm wide x 600mm in satin finished stainless steel.